Technically the final day of the Advent Calendar and I am marking it with one more piece of music. A favourite Christmas Eve movie in our house is Polar Express and we always sing along to this song performed on the soundtrack by the wonderful Josh Groban. Today is the the feast day of Saint Nicholas and while many of us are getting prepared for Christmas, there are some countries where the festivities begin early on today 6th December. This is a festival which is celebrated across Europe with gift-giving in Western Christian countries, but it is celebrated several weeks later on 19 December in Eastern Christian countries. It is marked with the giving of presents, parades, feasts and festivals. So who was Saint Nicholas? The figure is believed to have been Nicholas of Myra, a 4th century Greek bishop of the community of Myra, in Asia Minor who was later made a saint. During his lifetime, Nicholas had gained a reputation for gift-giving by putting coins in people’s shoes and this is where the Christmas tradition of giving gifts originates. In 1087, Italian merchants stole his body from Myra and took it to the town of Bari in southern Italy, which still celebrates St Nicholas Day to this day. It is further believed that his body was taken to Ireland where he is believed to lie to this day. Saint Nicholas inspired the traditional characters of Santa Claus and Father Christmas. 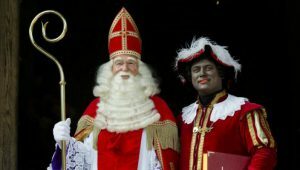 The historic figure is referred to by many names across different parts of Europe, such as Nikolaus in Germany or Sinterklaas in the Netherlands. 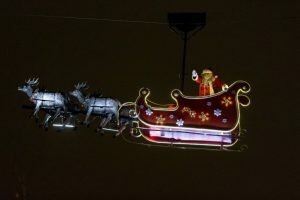 What myths and traditions are associated with St Nicholas Day? According to legend, Saint Nicholas is believed to visit homes accompanied by an evil spirit — known as Krampus in Austrian and German folklore — who punishes badly behaved children. In The Netherlands this character is known as Black Peter which has sparked much racial controversy in recent years. Before St Nicholas Day, children like to leave their shoes in front of the fireplace or at the front door with the hope of finding small gifts in them on the day. Not only is today the 5th day of the Advent Calendar but the 5th December is also the Eve of St. Nicholas. Today in Belgium and The Netherlands, families celebrate Sinterklaas when the red-robed man delivers gifts to all those who have been good for the past year. The origin of this tradition appears to be Nicholas, bishop from Myra in Turkey which is why he wears a red clerical cope and miter. It was believed that the bishop saved the town from starvation and that he was famous for leaving people secret gifts and money in their shoes. Sinterklaas appears to have moved to Spain where the Dutch say he now resides. Nobody knows why he moved and since he is now around 1800 years old he probably does not remember anyway. Sint as he is often called, rides a dapple grey horse, named Amerigo and he writes everything down in a big red book that he carries around with him. Sinterklaas has always been the patron saint of Amsterdam, of sailors and of children. In late November, a few weeks before his actual birthday, Sint sails in from Spain by boat. His arrival is a festive occasion that children eagerly anticipate. Then he processes through the streets while his Pieten (helpers)shower the waiting children with candies and tiny brown cookies, called pepernoten. From his arrival until his birthday on 6th December, children leave their shoes by the fireplace at night filled with hay and carrots for Sinterklaas’ horse. If the child has been good they will find chocolate or little presents the next morning. If however, the child has been naughty they will receive a note saying that if he or she doesn’t clean up their act there will be no presents on 5th December and even worse Sinterklaas may take the child with him back to Spain in his sack. Many young dutch children live in fear of being taken away! Finally on the evening of 5th December, there is banging on the front door or on the windows but when the children open the door, there is nobody there. Instead they find a heap of presents in canvas sacks. 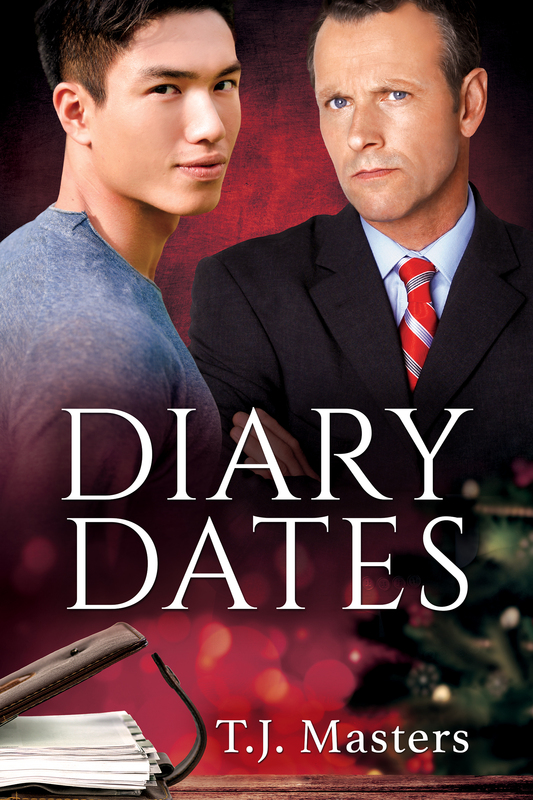 I have two seasonal stories available this year so I thought that today I would introduce you to Diary Dates which has already been released. Postgraduate student Andrew Chin arrives in London not only to study, but to explore life away from his traditional family in Singapore. 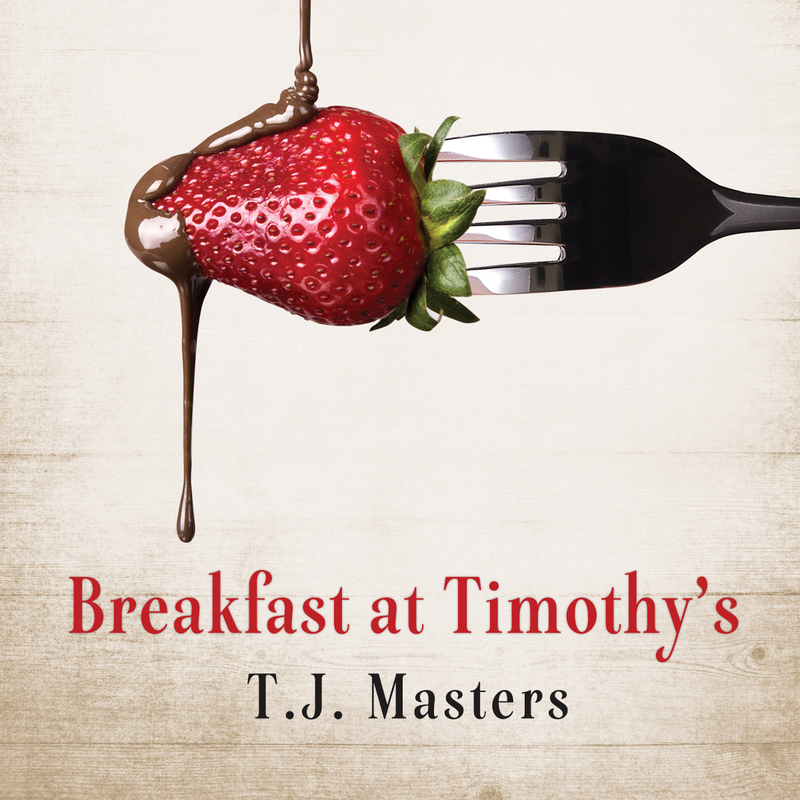 His adventure begins at the airport, where he finds the diary of a wealthy British businessman and endeavors to return it. 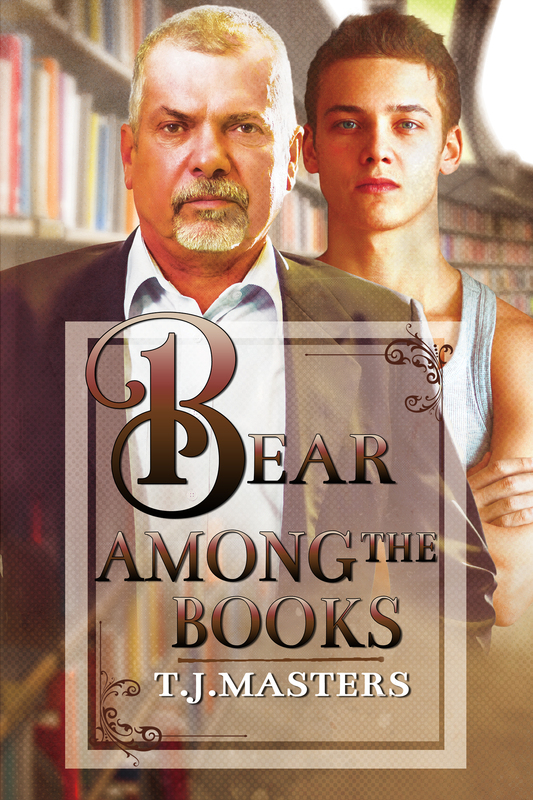 James Howard is twice Andrew’s age, and he’s not used to selfless youngsters. Despite a rocky first meeting, the two develop an unlikely friendship as James introduces Andrew to the city. James is looking forward to the festivities leading up to Christmas in London and maybe a celebration with Andrew. 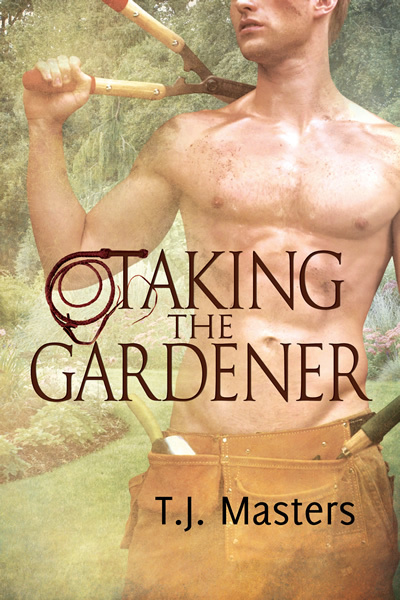 But will a nasty bout of the flu ruin their romantic holiday? Not if Andrew has anything to say about it. The Little Drummer Boy/Peace on Earth – The story of a very unusual duet. 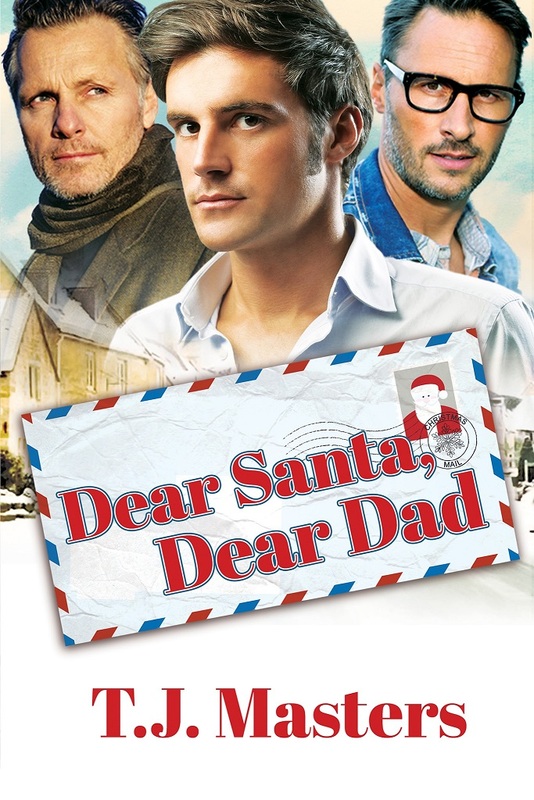 It is particularly apt this year that we revisit an amazing chance musical collaboration which produced one of the most popular Christmas songs of modern times. 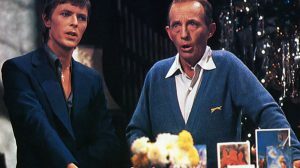 Earlier this year we lost David Bowie but almost 40 years ago at the age of 30 he came together with the 72 year old crooner Bing Crosby to record a Christmas duet which has become classic of the genre. The androgynous Bowie arrived at the recording for Crosby’s Christmas special and the producers wanted them to do a duet of ‘Little Drummer Boy,’ but when they told Bowie about the song, he said, “I won’t sing that song, I hate that song. If I have to sing that song, I can’t do the show.” The shows writers got to work and 75 minutes later they had come up with an original counter melody (Peace on Earth) and a new bridge for the song. (It didn’t hurt their chances that Bowie’s mother was a big Crosby fan.) The song was presented it to him again and this time Bowie agreed. Bing loved the challenge of the new song and it says a lot for the mutual respect and musicality of both men that an hour later they were ready to record it. Welcome to day two of the 2016 Advent calendar. 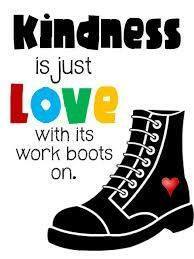 Today I am looking at the notion of kindness as a gift to be given freely and shared widely. 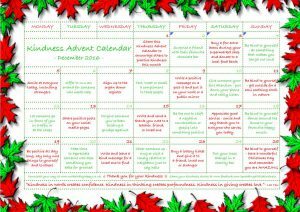 Right at the outset I want to thank the lovely Helen Green (@HelenCGreenUK) for her wonderful Kindness Advent Calendar which I am sharing here. In the countdown to Christmas we can easily get caught up in the general hectic race to the finish line on Christmas Day. What if we were to spread out the practice of giving to the whole period by indulging in small acts of kindness every day. Helen tries to make this activity available to everyone by keeping the suggestions quick to arrange, easy to achieve and cheap(or free) to do. Of course the practice of kindness is in keeping with the spirit of Christmas but the great thing about it is that it has the ability to raise our own spirits as we do it. 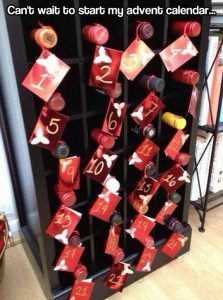 Welcome to the first day of my 2016 Advent Calendar. During the run up to Christmas I will be posting on here every day and the content will include pictures, stories, information, music, poems or activities relevant to the season. Advent is a season observed in many Western Christian churches as a time of waiting and preparation for the celebration of the Nativity of Jesus at Christmas. The term is a version of the Latin word adventus translated from the Greek word parousia meaning “coming”. Practices associated with Advent include keeping an daily Advent calendar, lighting the candles on an Advent wreath, praying an Advent daily devotional, as well as other ways of preparing for Christmas, such as setting up Christmas decorations, a custom that is sometimes done liturgically, through a hanging of the greens ceremony. The equivalent of Advent in Eastern Christianity is called the Nativity Fast, but it differs both in length and observances, and does not begin the liturgical church year as it does in the West. An Advent calendar is a special calendar used to count or celebrate the days in anticipation of Christmas. The date of the first Sunday of Advent varies, falling between 27th November and 3rd December, so the Advent calendar usually begins on 1st December. Some have speculated that the Advent calendar may trace its history back to the time os St. Peter although in its’s present form it has been used by German Lutherans since the 19th century. Of course these days there are no end of variations to the traditional Advent calendar many of which are a lot more secular. Mine posted here will be seasonal rather that religious but I hope that everyone will take some joy from my eclectic tastes!